Students of the Academy will be able to buy tickets at the Milano Musica (from Saturday 31 October to Sunday 3 December), which in 2017 celebrates the genius of Salvatore Sciarrino with 21 symphonic and chamber concerts, an exhibition, 4 meetings and 6 the opera Ti vedo, ti sento, mi perdo staged at the Teatro alla Scala. TICKETS FOR 2 CONCERTS AT TEATRO ALLA SCALA: parterre and boxes 50% off – till seats available. 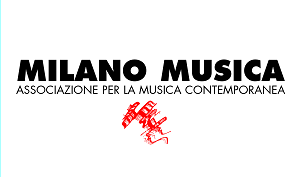 Tickets for sale from June 15th to July 8th and from September 18th throughout the Festival, Monday to Saturday (12am-6.00pm), at the Ticket Office of the Teatro alla Scala, Piazza del Duomo, Galleria del Sagrato (MM 1, 3 – DUOMO). For concerts at Teatro alla Scala, you can buy tickets on the same day, from 6 pm to the beginning of the concert, in Via Filodrammatici. Please, remember to show your Academy badge at the Ticket Office in order to get your discount.